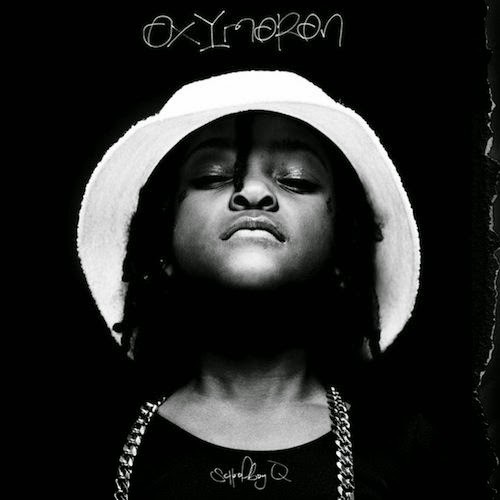 Oxymoron is the first album out of the TDE/Black Hippy camp since good kid, m.A.A.d city catapulted Kendrick Lamar to stardom. And with its arrival, Schoolboy Q has emerged much in the same way: a conflicted individual whose rhyme scheme and subject matter is as varied as his beat selection. Following up on last year’s under-the-radar cassette the Brugal & Presidentes EP, Oprime39 and Solace, the largely unknown New York City-based duo that makeup Timeless Truth, have returned with a new EP. 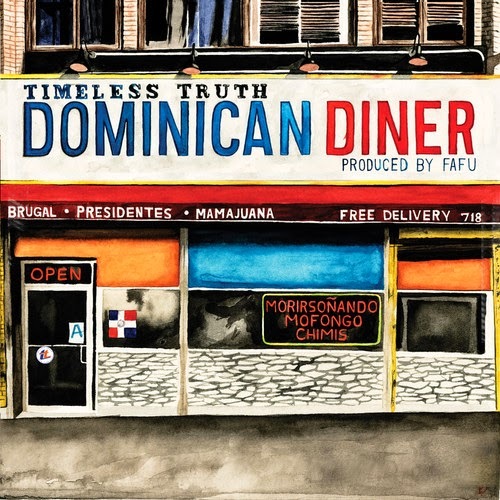 Destined to be criminally underrated, Dominican Diner is a perfect combination of laid-back summer-y hip-hop — perfect for barbecues and sunny bike rides through the city (“Trife,” “Crème Da La Crème,” “Glory”) — and traditional New York rap at its most authentic (“Out of the Loop,” “Bail Money in the Mattress,” “T.I.R.O.”). 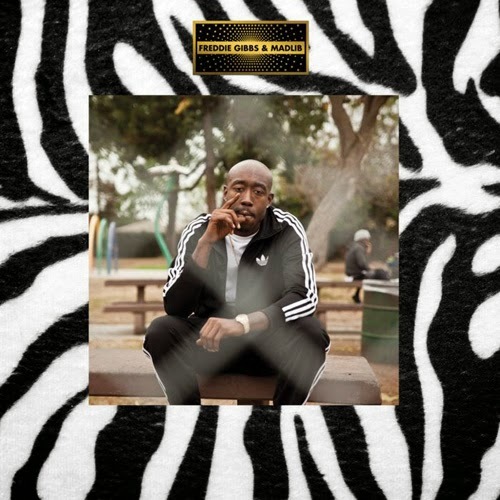 The latest in a string of collaborations between emcee Freddie Gibbs and super-producer Madlib, Piñata is on a straight-up gangster rap tip. Madlib’s beats — culled from old-school soul, funk, and blaxploitation — are the backdrop to Gangsta Gibbs signature misogyny, drug dealing, and pistol play. And although at large he’s unapologetically keeping it real, Gibbs isn’t afraid to show a little bit of remorse. While he’ll give the listener a glimpse of his softer side (“Deeper,” “Broken”) he always holds back enough as to not compromise his rugged ghetto-hardened exterior (“Thuggin’,” “Real,” “Knicks”). Continuing a partnership the dates back to the early ’00s when producer Alchemist made some beats for emcee Evidences’s group Dilated Peoples, the two have taken form as Step Brothers. 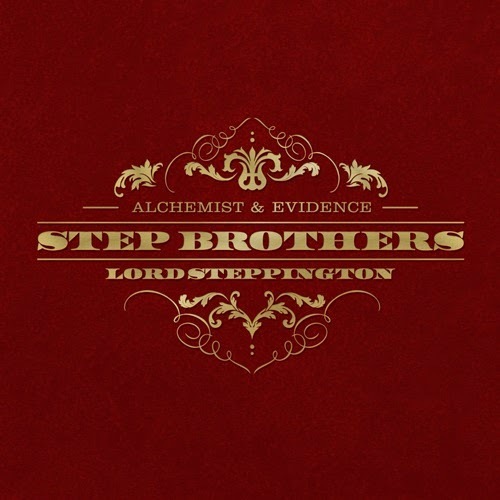 Their debut album, Lord Steppington thrives in ‘90s boom-bap nostalgia, bong hits, and in-joking. A song like “Legendary Mesh” is evocative of the album as a whole: Evidence flexes his pay-attention-or-you’ll-miss-it cleverness (“I swear to drunk I’m not God, but getting closer”), while Alchemist’s psychedelic samples, hard drums, and deep bass drive the beat to neck-snapping heights. There are some notable guest spots from the likes of Domo Genesis and Scott Caan (“Bryon G”), Action Bronson (“Mums in the Garage”), and Alchemist’s Gangrene co-conspirator Oh No (“Draw Something”). 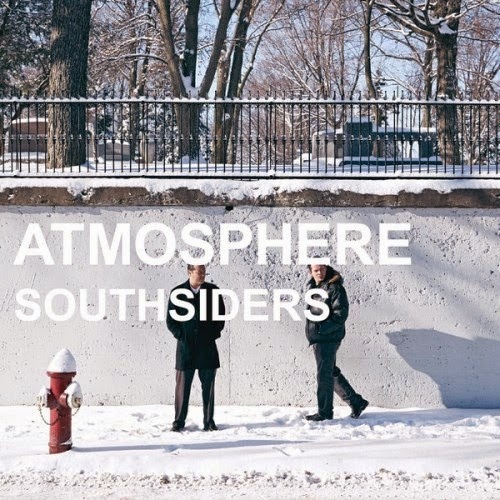 Southsiders is the first Atmosphere album since 2011’s lackluster Family Sign. And while you can still find some leftover moroseness here (“I Love You Like a Brother”), Southsiders is as close to a return to form as we can expect from Slug and Ant, the emcee and producer combo that makes up the nucleus of Atmosphere. Things have changed: babies were born, people died, and weight was gained. Once you reach a certain age, life becomes more about durability than it does going all out. Realizing that it’s more about finishing the race than it is winning it, on the title track Slug raps, “Life’s too short to fight the feeling /I get a little paranoid for no reason/When the jukebox plays don’t stop believing.” While there were several songs on The Family Sign that had people guessing that they were about the passing of Michael “Eyedea” Larson, “Flicker” leaves nothing to imagination. And there are a handful of tracks here (“Star Shaped Box,” “Bitter,” “Kanye West,” “January on Lake Street”) to appease those that hold the Overcast, Headshots: Se7en, and Lucy Ford: The Atmosphere EP’s days in high regard. Good To Be Home is a lofty double-disc celebration of Blu’s hometown of Los Angeles. 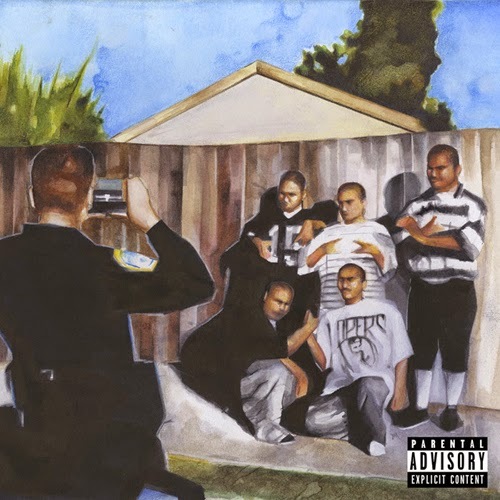 People who grew up listening to hip-hop around the same time Blu did will find plenty of moments to nod in agreement (“Boyz in the Hood,” “Dre Day,” “Bobby Brown”) and there’s enough guest spots (2 Mex, Prodigy, Phil Da Agony, Planet Asia, Krondon) to keep the would-be monotony of a 20-song album at bay. As far as the production goes, it’s very similar — at times nearly indistinguishable — from track to track, but it’s that sameness that really adds to the overall cohesiveness of the album. Bombay’s beats are peculiar exercises in raw simplicity; at times reminiscent of Apollo Brown and at others seemingly haphazardly-assembled loops. Good To Be Home should be heard with a nice set of headphones to be fully appreciated. 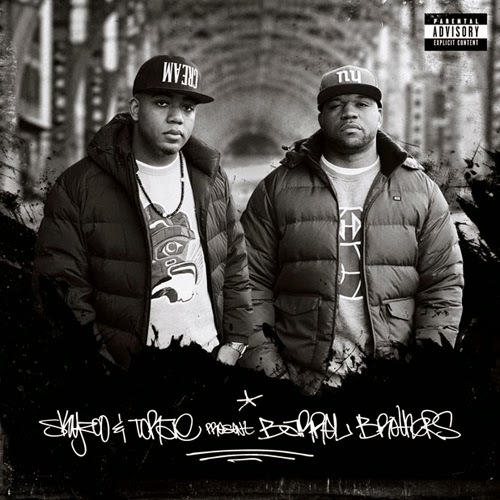 After experiencing a modicum of success as solo artists, New York City emcees Skyzoo and Torae come together as Barrel Brothers. Traveling parallel career paths and having collaborated numerous times already, the rugged fluidity of Barrel Brothers comes as no surprise. The duo called upon a grip of producers (Illmind, Oh No, Black Milk, Khrysis, DJ Premier, Apollo Brown) to assemble a tapestry of hard-knocking beats. Aside from a few select guest spots (Sean Price, Guilty Simpson, Blu) Skyzoo and Torae fully own the project, further cementing themselves as supreme rhyme-slingers. With a focus on skillful lyricism and head-nodding beats Barrel Brothers is boom-bap revivalism at its finest. Smell the Da.I.S.Y. 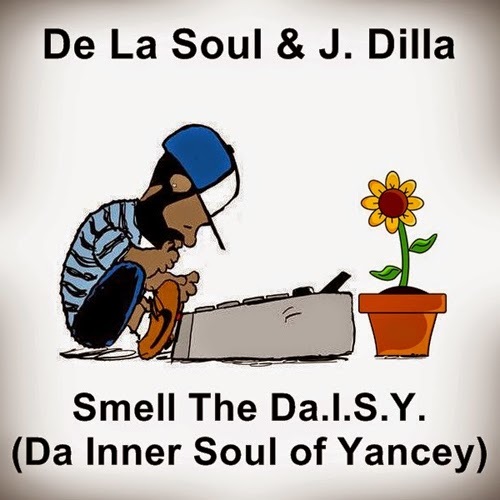 (Da Inner Soul of Yancey) Is an 11-track mixtape that finds Posdnuos, Dave, and Maseo dropping reworked verses over some unreleased J. Dilla production. The beats will rattle your subs, while De La’s recognizable verses will transport you back to a time before trap and Autotune became the norm. Come on ya’ll, just clap your hands to the beat. Anyone well-versed in ‘90s rap music is already aware of the contributions Diggin In The Crates have made to hip-hop. The emcee/deejay/producer super-crew consisted of Showbiz & AG, Diamond D, OC, Lord Finesse, Fat Joe, Buckwild, and the highly revered Big L.
For the uninitiated and old heads alike, D.I.T.C. has done the rap world a solid in the form of a free download. 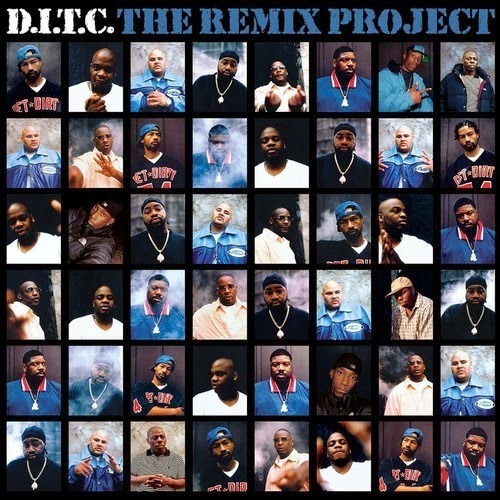 The Remix Project is a 14-song collection of the crew’s back catalog that has been given the remix treatment. Some of the tracks were remixed in-house by Lord Finesse (“Thick Lord”), Showbiz (“Best Behavior”), Buckwild (“Casualties of the Dice Game”), and Diamond D (“Internationally Known”), but many of them were handed over to some of present day’s masterful beatsmiths. The Alchemist (“We All”), Apollo Brown (“All Love”), DJ Premier (“Diggin in the Crates”), 9th Wonder (“Time to Get Money”), and Marco Polo (“Way of Life”) all take turns breathing new life into songs, some of which are 20 years old. 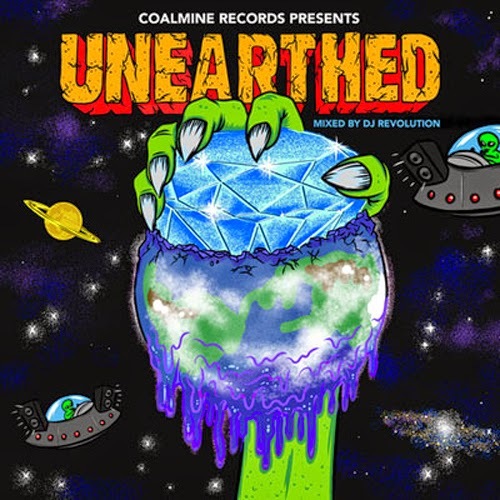 Like they did with the DJ Rhettmatic-mixed version of M-Phaze’s 2012 producer album Phazed Out, Coalmine Records dropped another mixtape in the true sense of the word. DJ Revolution mans a nonstop boom-bap party mix of tracks culled from the decade-old hip-hop preservation label’s back catalog. It features production from the likes of Marco Polo, Khrysis, Ayatollah, and more, and raps from Pharoahe Monch, Large Professor, Kool G Rap, Blu, Guilty Simpson, and Sean Price, among others.